Theft, Robbery or Burglary – What’s the Crime? 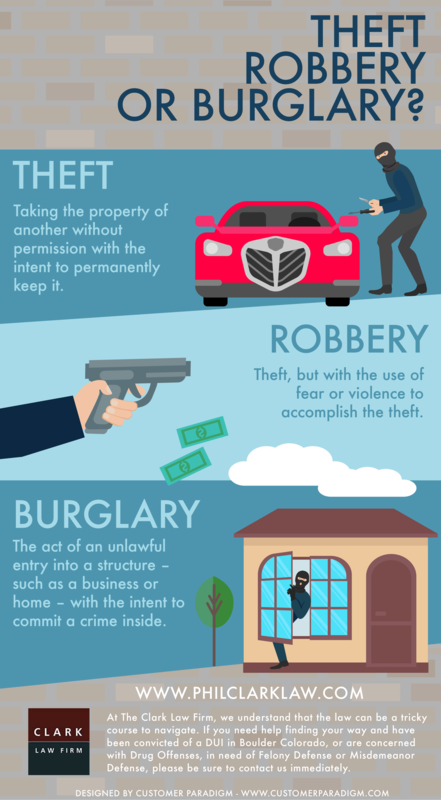 Burglary, robbery, theft – these words are often used interchangeably. However, there are very distinct legal differences between the three terms. Although each term involves the unauthorized taking of someone else’s property, each of these terms defines a distinct crime. So what are the differences between the three? Theft is the most basic of these three crimes. A crime is considered a theft when someone takes the property of another without permission with the intent to permanently deprive the person of that piece of property. Robbery takes the crime of theft one step further in order to complete the crime. The theft is accomplished by use of fear or physical force. For example, if you were walking down the street and someone tried to steal your backpack, and in order to get it off of your back they had to threaten you or harm you violently, this would be considered a robbery. Burglary is often confused with theft, however, this crime doesn’t actually mean that any property was stolen or intended to be stolen. Burglary is the act of an unlawful entry into a structure – such as a business or home – with the intent to commit a crime inside. It does not matter what crime you intend to commit inside, it could be any crime from theft to murder. You can be charged with the crime of burglary whether or not you actually were able to follow through with committing the crime inside the building so long as the intent was there. At The Clark Law Firm, we understand that the law can be a tricky course to navigate. 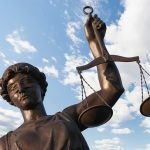 If you need help finding your way and have been convicted of a DUI in Boulder Colorado, or are concerned with Drug Offenses, in need of Felony Defense or Misdemeanor Defense, please be sure to contact us immediately. We will hit the ground running to make sure you have the best Boulder Attorney and legal coverage possible!